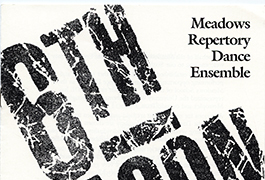 The Division of Dance in the Meadows School of the Arts offers professional dance training within the context of a comprehensive liberal arts education. The goal is to develop the disciplined, versatile dance artist through a balanced study of ballet, modern dance, and jazz dance techniques, complemented and reinforced by a broad range of theoretical studies and performance opportunities. 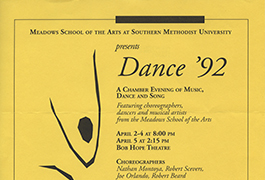 The dance concert programs are the primary written record of the creative and scholarly output of the Division of Dance at SMU. 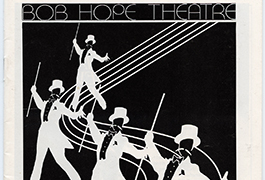 Documented in these programs are dancers, choreographers, and faculty; musicians and composers of musical accompaniment; and designers of costumes, lighting, media, and sets. 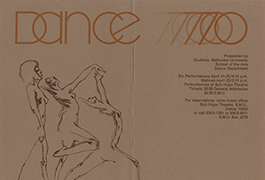 The Hamon Arts Library actively collaborates with the Division of Dance to preserve the department’s works and cultural heritage. These digital preservation projects ensure long-term access to dance concert programs and video recordings.